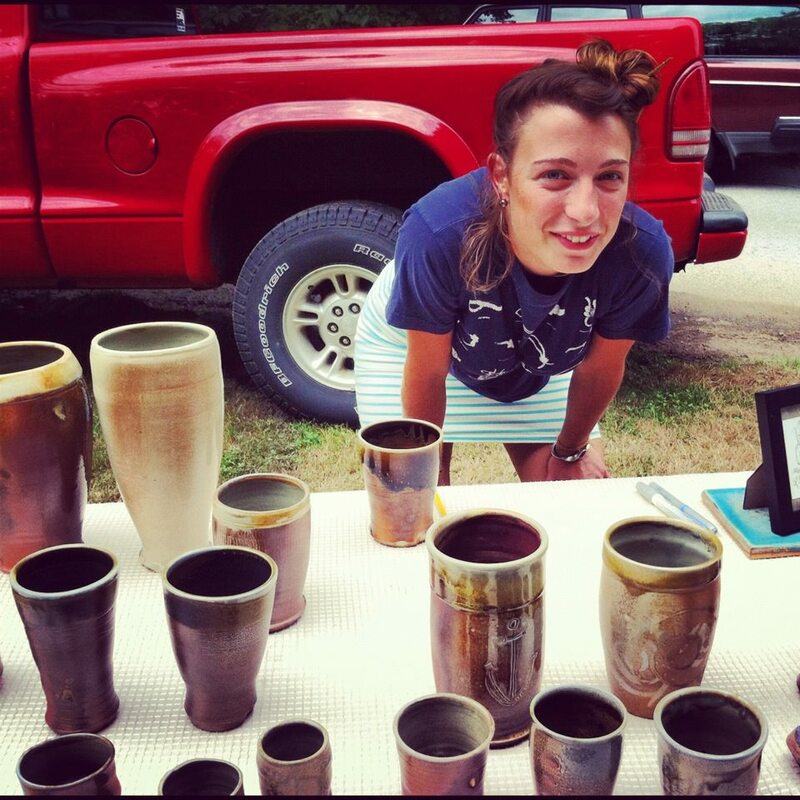 The artist, Natalie Squillante, with her usual smile and some pieces from a recent Anagama firing. Last Spring, I dropped my then 7-year-old and rather timid daughter off at the Jamestown Arts Center to begin a series of after school pottery classes. By the time the first class was over and I returned, she was hugging her instructor, Natalie, goodbye and smiling widely. With a very real warmth and overall positivity, Natalie, a highly practiced ceramicist, encouraged my daughter — and countless others before and since — to feel completely at home in her classroom. Though she is dedicated to teaching, lately Natalie has been turning a lot of energy, time and focus towards her own art. She finds the time to paint, draw and make pots at any opportunity of each day. 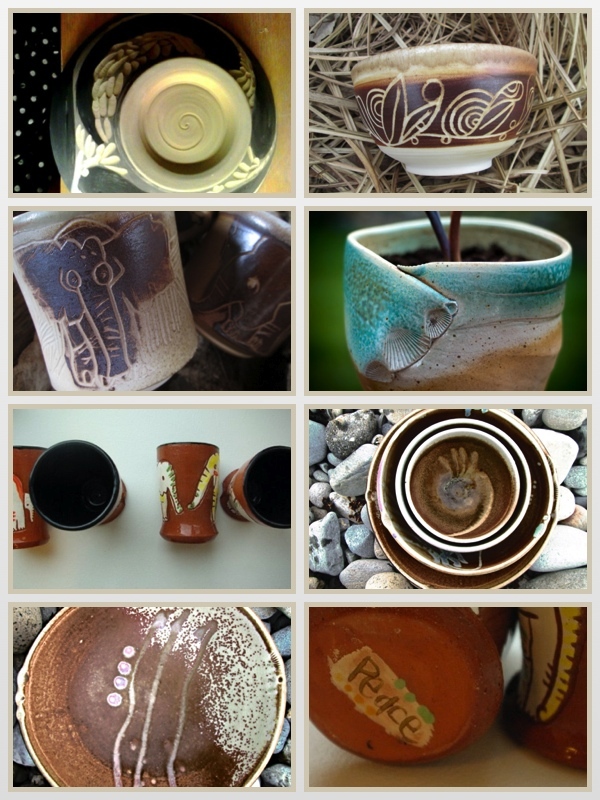 Under a new brand she has created called Nautaleye, her pottery is as distinct and genuine as the artist herself. Festival Fete: What were you up to this past winter/off-season? Natalie: I’ve made all sorts of funky connections through the Jamestown Arts Center. And I’ve had the opportunity to work with one of my favorite ceramicists, Chris Gustin, using his amazing hand-built kiln, in South Dartmouth, MA. One of the three chambers is Anagama, a Japanese-style kiln, and is fueled by hand with firewood. I prepare and create work for the kiln throughout the year. Along with a group of talented, dedicated ceramicists, we fired one back in October/November and we’re currently firing another. It’s one of the experiences in my life that I look forward to, build up work for, and put a lot of energy into. Loading the large kiln is truly a communal effort and the firing is about a seven-day process. We continually stoke the fire in eight-hour shifts each. It has really grabbed me by the heart. What happens inside can reflect what’s going on in the atmosphere outside. We fired during Hurricane Sandy in 2012 and the ash blew just beautifully. I may initially throw the pieces on the wheel — the pots, the cups, the bowls — but I think the true beauty really comes from the kiln itself and in the natural ash glaze that forms on each unique piece. FF: What’s inspired your most recent work? N: My inspirations have never really changed; they’ve been staples throughout my life. The things that shine in my mind are nature, plants, the ocean and elephants. I have a deep respect and admiration for elephants: their wisdom, their memory and their spirituality. Love, wonder, beauty, joy and meditation inspire me, too. Each finds a way onto a canvas, a piece of ceramics, on a piece of paper or a wall on a very regular and daily basis. I’ll be donating a percentage of my sales to Hope Elephants, a small organization in Maine dedicated to the preservation and protection of elephants. It’s a lofty goal but I would love to have an elephant of my own in the future. Since I was a child, I’ve been sort of obsessed with them, but learning of a vet who was able to rescue elephants from harmful environments makes me want to have the space and resources to care for one myself someday. FF: Does your work with children influence your creations? N: Working with kids will always be a part of my life and work because I’m not sure I’ll ever not be a kid myself! It’s a part of who I am. I love every moment of learning, growing, sharing, and creating with them. I share a similar joy, willingness, and enthusiasm to create and learn, with students and children, and that is something that I savor and find inspiring in itself. That energy and process is most influential. 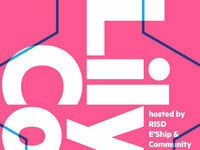 FF: Can you share a bit about your process? N: One of my favorite and frequently used surface treatments is called Sgraffito. After using this process while I attended Maine College of Art, I found out that it’s Italian for graffiti. Basically, once I’ve thrown a set of whatever it is I’m making (a few bowls, planters, cups, serving bowls) I let them dry to a very specific dryness in order to foot them. The foot is at the bottom of a pot and is a sweet, pedestal like feature at the base. Some are ornate and complex, while others are simple or without. I then apply a stain or underglaze. Here’s where the Sgraffito comes into play. Using carving tools, I then begin to draw onto the surface carving away the stain or underglaze and some of the clay underneath it. I find Sgraffito creates a playful yet informative and beautiful use of positive/negative, foreground/background, history, and expression. It’s the way I enjoy getting information, a story or image that I may be painting or drawing, onto a ceramic piece. FF: Have you got a favorite piece? N: I love each piece for one reason or another. Even if it’s just for whatever phrase or word I’ve written on the bottom, the happy mistake or magic that occurred in the kiln or the memory attached to the carving. They’re all my favorites; they’re like people to me. Maybe I’ll have a favorite come out of the Anagama soon! FF: What are your aspirations? N: I’m attracted to clay, partly, because everything I make is functional. The Anagama kiln was used in the Japanese culture to make pieces to be used by the whole community, since it allows for large amounts of pottery to be loaded and stacked inside. I would love to get people to the point that they can throw their own pottery, so they can start to replace a lot of the junk — for lack of a better word — that we consume and accumulate. I’d like to sort of ‘mass produce’ in a handmade way, making pieces quickly and simply, yet beautifully so that they can be accessible and affordable. FF: What do you look forward to most about participating in the Newport Art Festival? N: This is my first Festival Fete selling work. I was working with Art Is Smart creating and working with kids at the Creation Stations for past Festivals and I’ll be facilitating crafts at the next Festival Fete (at Emerald Square), which I’m totally looking forward to! I’m stoked to see how my work is received by the public. I love the energy of Festival Fete so I’m also looking forward to the overall feeling that it brings and seeing all the beautiful work that will be there. I hope it’s a huge success for everyone and for Newport. With artists like this one, how can it not be? Natalie can be contacted through the Jamestown Arts Center for group and private lessons and for arts and crafts based birthday parties. She can be found at the Newport Art Festival this weekend as well as future Festival Fete shows. She can be reached on Facebook, as well. Natalie’s work is displayed at the Art Market at the JAC and she currently has beautiful soap dishes and mixing bowls for sale at Farmaesthetics flagship apothecary on Bellevue Ave. in Newport. Connected by bridges yet somehow quite wonderfully disconnected sits Conanicut Island and the town of Jamestown, Rhode Island. Perfectly pastoral and coastal at the same time, Jamestown manages to miss the throngs of summer traffic some of it’s neighbors contend with and so remains a peaceful community of folks dedicated to their myriad crafts. 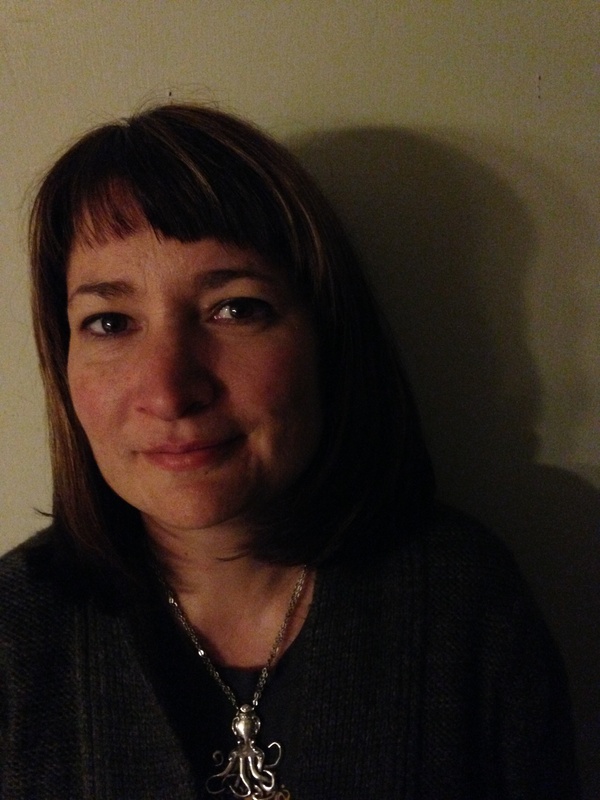 Jennifer Weeden-Black is one such islander. Anchored in her family’s rich history here, the artist has grown Islandesign for over ten years bringing the strong simplicity of the island to life in her bold, original stained glass canvases. Browsing her pieces feels like flipping through an old photo album of our beloved, local landscapes and seascapes we here at Festival Fete covet. We can’t wait to see what she brings to Newport. Festival Fete: What were you up to this past winter? Jen Black: Farming is a perpetual part of my life and inspiration. Though I don’t live on a farm, I worked at Simmons Farm in Middletown, RI to fill the need. FF: What has inspired your most recent work? JB: My latest projects have been a series of goats as panels of glass or paintings, inspired by the goats on the farm. 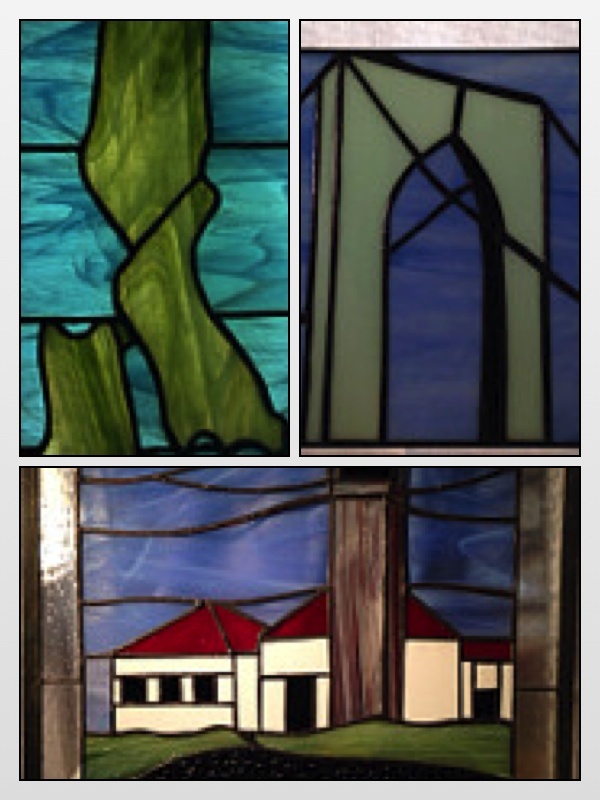 Islandesign and stained glass as an art form to me is a large part of an ideal lifestyle. “My family and I live a pretty simple life in Jamestown. FF: Tell us about your process. JB: My mother Donna is my partner in a lot of the stained glass preparation process. What people may not realize is how very time consuming the whole task is. Each piece, no matter how large or small, has at least a 13-step process. From picking out the perfect colors to polishing the finished product, it is a lot of work. I design my own templates and never copy from books. Stained Glass is a medium that you really have to love the whole process of. Most people who take classes, don’t continue. They don’t realize how much time is put into each piece until they make their own. 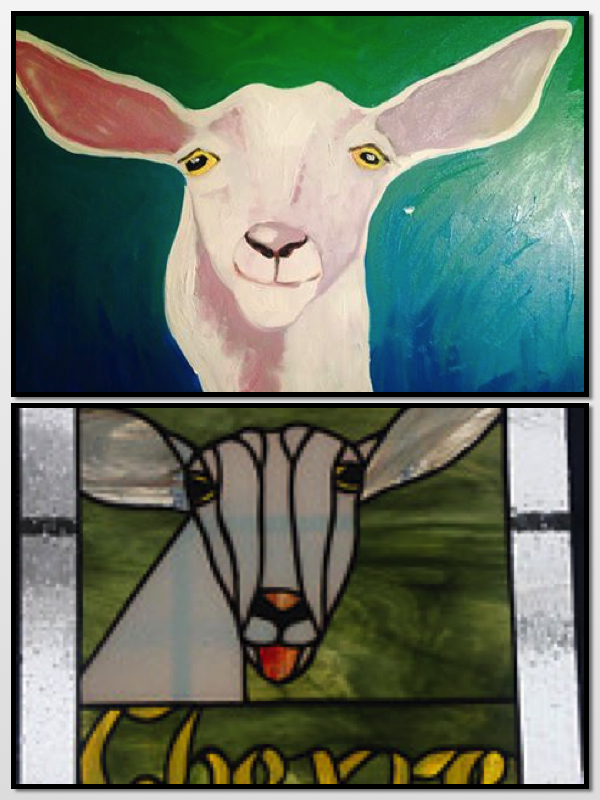 Local goats as recent inspiration: From painting to stained glass. FF: Does any piece stand out as your favorite? JB: My favorite pieces are often the most challenging. My mother and I made a very large Beavertail Lighthouse panel as a commission last year. It was a tedious process because it had to fit in a very specific space exactly. FF: Which are you most proud of? JB: I am most proud of a piece we made for a couple in Connecticut. It was a large Poppy Garden. It was very time consuming, but satisfying to see it hung in it’s space. The look on the customer’s face said it all. Sea glass “Web,” repurposes sea glass from local shores. FF: Where do you source your glass? JB: The glass that I use for the work mostly comes from a supplier in Old Saybrook, CT. It’s always a pleasant trip to go and visit with Vinny and Carol. I also love to repurpose glass like old bottles or sea glass from our beautiful beaches here. And beautiful they certainly are, as interpreted by Jen. You’ll find the artist in person at our first show in Newport on June 28th and 29th. Browse her pieces at her online shop on Etsy and like Islandesign on Facebook. Thanks for reading our latest in artist interviews on the road to Newport. Stay tuned! Pictured here in her own designs, Lianna’s natural warmth of personality is reflected in each piece. I’ve fallen in love with new artists at each and every Festival Fete show over the past year but I have a particular thing for jewelers. New to us is Lianna Slater of Lianna Michelle Designs. She’s one of those artists whose work, both artistically and professionally, is the essence of what Festival Fete strives to deliver to it’s guests. Culled mainly from Rhode Island shores but also collected from Utah and Florida as well as Mexico, Brazil and Russia, the stones she uses in her necklaces, bracelets and earrings remain unadulterated. Whether semi-precious or simply a unique pick from a beach walk, Lianna wraps them in various treatments of copper wire, with a subtle hand, letting the natural curves and original shape of her finds stand out and define the overall piece. The results remain earthen and chunky but still so delicate and fluid. Festival Fete: What have you been up to over this particularly long winter? Lianna Slater: Cold winter days made it easy for me to stay cozied up in my studio, enhancing my brand and business and keeping my creations flowing. It was the perfect time for me to be highly productive. As an artist, it’s easy to get lost in the creative process and lose sight of the branding, so it was especially important to me to set the intention of, and to put attention into, revamping my website, which will relaunch this Spring. I’ve also been building my inventory for the 9+ shows I have lined up for 2014. Slightly smaller in scale, Lianna’s most recent work is at once graceful and striking. LS: Scale. My designs have tended to be larger, and I will always carry these signature pieces; however it’s important to me to be more accessible to my customers. Over the years, I’ve paid closer attention to what the majority are looking for. More often, it’s ornate, smaller scale pieces. I’m a self-taught jewelry artist with a B.A. in Fine Art. Painting, actually. Some customers have compared my pieces to wearable works of art, which is the ultimate compliment. In playing with the scale of my most recent collection, I have realized I’m still able to create aesthetic statements that are now even more affordable! So, this year it’s all about dialing down the scale and proportions of my work. It’s been a challenge, but the end results surpassed even my own expectations. FF: Your beautiful stones and gemstones are set in copper, mostly? Lianna: Yes, that’s right! They all start off in copper foil. The process I’ve implemented is similar to that of stained-glass making. I begin by wrapping each stone in copper foil and solder each piece individually. Laying the stones into artful, organic, and balanced composition is my forté. Once I fabricate an assortment of pieces, I send them out to be plated in .925% sterling silver or copper. At this point, it becomes a fairly repetitive, but quite therapeutic, process. This year I’ve been experimenting and created a new, diamond-like texture that I’m really excited about. FF: Have you collected stones on your travels outside of Rhode Island? LS: Oh, of course! Just like a photographer doesn’t go anywhere without their camera, I don’t go anywhere without my eyes wide open for inspiration for a new piece or collection. I’ve traveled to bead expos and antique shows over the years for supplies. My favorite is the International Bead Expo in Tucson, Arizona. It’s exciting to meet the rock hounders and miners themselves – the folks that really unleash these historic gems. It’s a dream of mine to travel to Russia or Brazil to discover their natural origins for myself. Give meaning to an ordinary outfit with these bold, yet somehow understated, pieces. I plan to wear mine with a t-shirt and jeans or simple dress. Lianna’s prolific use of various crystals, agate, freshwater pearls, jade, carnelian and ‘ordinary’ beach stones made choosing just a few examples here difficult. Visit her site to view more of her natural creations for sale and some past commissions, too. FF: Where do you find the most inspiration? LS: Nature has always been my blank canvas and such a source of inspiration. I’m often left in awe and wonderment at the science and origin behind each selection I make — whether it be from geodes and crystals from ancient volcanoes dating back millions of years, or to local rocks and shells found combing the shorelines of New England and Florida. I feel honored to bring these selections to life, as though I’m a conduit merging unique and vast materials of yesteryear together. Europe meets Newport, or East meets West — not sure the best way to describe it — but it all works for me, and my customers seem to agree. You’ll find Lianna at every Festival Fete show this upcoming season as well as a few other great events. 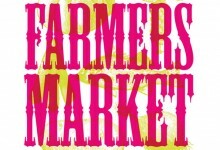 Find her schedule on her website, liannamichelledesigns.com or follow her on Facebook for regular updates. 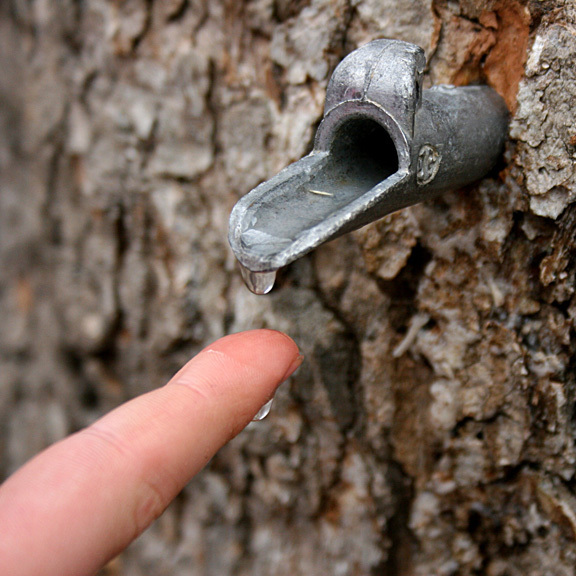 Tree-to-Table: Register at asri.org now for Coventry’s Maple Sugaring Tours, one of a few alternatives this weekend. 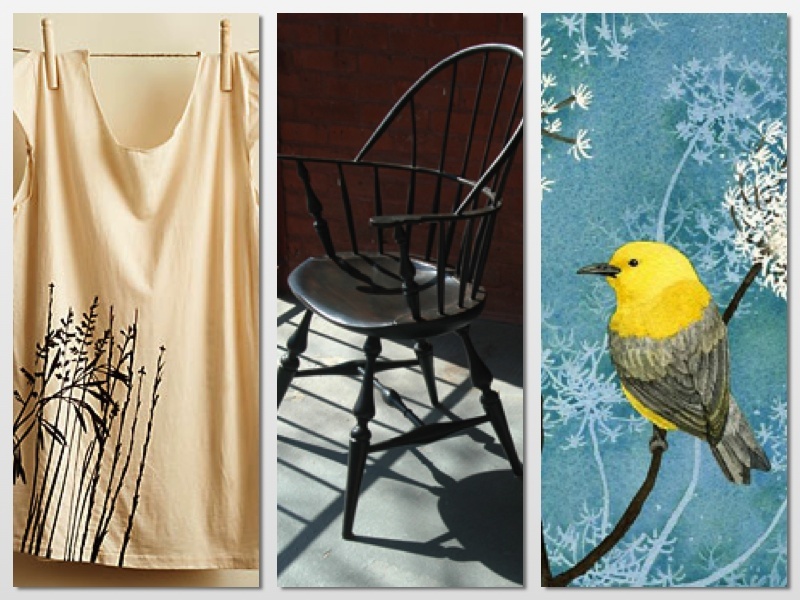 Taproot Threads organic printed clothing; Andrew Jack’s handmade Windsor chairs; Tracey Lizotte’s watercolor and pencil originals – exhibitors at Old Deerfield Craft Fairs. 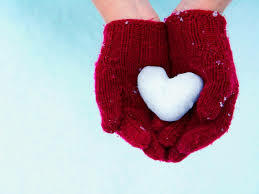 Enjoy the weekend, keep warm and keep in touch. Since I first heard about, then started to feel, the forecasted reprieve from freezing temps, I’ve decided to unwind the scarf I’ve been wearing since November – if only for a few days. And though the rain may come and go, I’m relieved it’ll be a good, mild time to get out there and see what’s happening – because there are actually things going on this week! Thanks to the public school winter break, both Newport and Providence are ripe with activity, geared toward young and old alike. I’ve never missed the annual Illuminated Garden at Ballard Park in Newport which coincides nicely this year with the city’s 10-day long Winter Festival. Along with events around town, the quarry meadow is set aglow by spectacular twinkling displays. Wear your muck boots, though, you’ll need ’em. Back up in Providence…the city’s Children’s Film Festival continues packing the week and weekend full of films screened at RISD and the Cable Car Cinema. With events and films geared for both the younger set as well as all ages crowds, PCFF joins Gallery Night Providence tonight offering free admission to the museum and a movie. Then keep your energy up for Friday night as PPAC welcomes Alton Jones, of Food Network fame, downtown with his Edible Inevitable Tour – tickets are somehow still available?! Doors are open for ongoing installations in galleries at URI, Brown and RISD (Andy Warhol’s photos! ), while the lesser known Clouds Hill Victorian House in Warwick finishes ‘100 years of Romance,’ a display of a century’s worth of wedding gowns. You may also want to visit The Hera Gallery in Wakefield which highlights the area’s younger artists with it’s 26th Annual Children’s Exhibition, also ending in the next few days. So chart your course and set your sights around the state this weekend. Because winter isn’t over – it’s just taking a break. And stay with us, we’ll keep you posted on all the local art, food and merriment we can take until Festival time!